Los Angeles : Tesla founder and CEO Elon Musk has unveiled a prototype of high-speed tunnel system to transport passengers in cabins or carry them in their own vehicles using car elevators -- a solution to ease urban traffic congestion. The test tunnel, which is nearly two kilometre long, was dug out in the basement of the SpaceX aerospace transport company's headquarters in Hawthorne near Los Angeles, also founded by Musk. Musk carried out the test run of one of the electric vehicles ideally able to reach 240 km per hour, faster than an underground train, although on Tuesday it did not exceed 80 kph, Efe news reported. 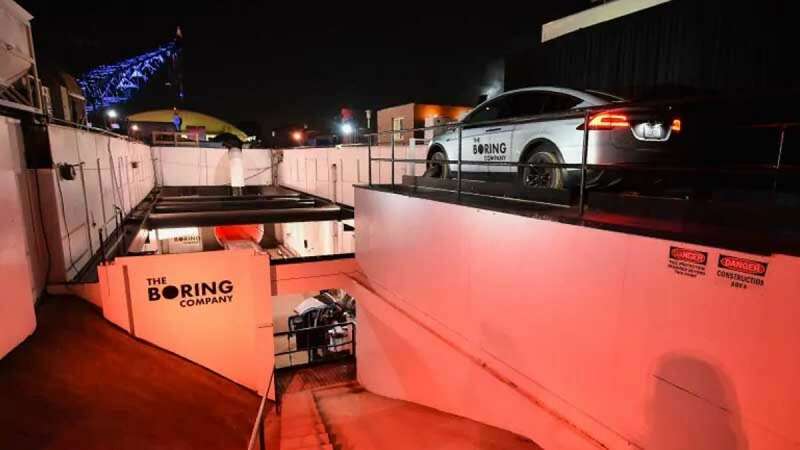 He said the cost of drilling undertaken by his Boring Company had been about $10 million, having used a combination of traditional machinery and cutting-edge technology to save time and money. Musk's vision is to develop a tunnel system that can be expanded and improved like an underground three-dimensional freeway system. Inside the system would be high speed cabins with at least 16 passengers, or also private vehicles on a hydraulic system descending from surface to base, which will move through the tunnels using electric traction. Travelling from central Los Angeles to LAX International Airport will take eight minutes, in a route that, with the usual congestion, normally takes between 40 to 80 minutes, the report said. Beyond this prototype, the initial project proposal for Los Angeles will not be to its airport, but a line called "Dugout Loop" that will transport residents of Los Angeles to Dodgers Stadium from different neighbourhoods of the city. The initial capacity of the system would be to transport some 1,400 people per event, equivalent to 2.5 per cent of the stadium's 56,000-spectator capacity. Musk said the figures could double up to 2,800. The company also intends to connect Chicago's O'Hare International Airport to the city centre, and Washington to Baltimore. The futuristic dream promises to bring about a revolution in the transport system in big cities around the world.